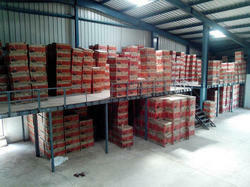 We have gained vast expertise in providing a wide range of Mezzanine Floors to our clients at industry leading prices. These are available in different specifications that meet the individual requirement of our clients in efficient manner. 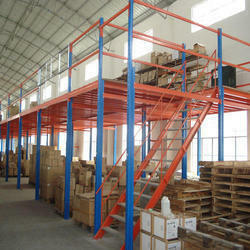 As per the clients’ demands, we fabricate, supply and install fine quality Slotted Angle Mezzanine Floors. Our range can be effortlessly relocated, enlarged or dismantled with the property of high load bearing overhead levels. The range is comes with heavy duty columns which provide stiff hold, further helping in the operation of the lower level. Also, these floors are easily installed in the office, storage or manufacturing areas at lesser costs, and can completely utilize the existing overhead space and gain valuable working. As per the clients’ demands, we fabricate, supply and install fine quality Modular Mezzanine Floors. Our range can be effortlessly relocated, enlarged or dismantled with the property of high load bearing overhead levels. The range is comes with heavy duty columns which provide stiff hold, further helping in the operation of the lower level. Also, these floors are easily installed in the office, storage or manufacturing areas at lesser costs, and can completely utilize the existing overhead space and gain valuable working.